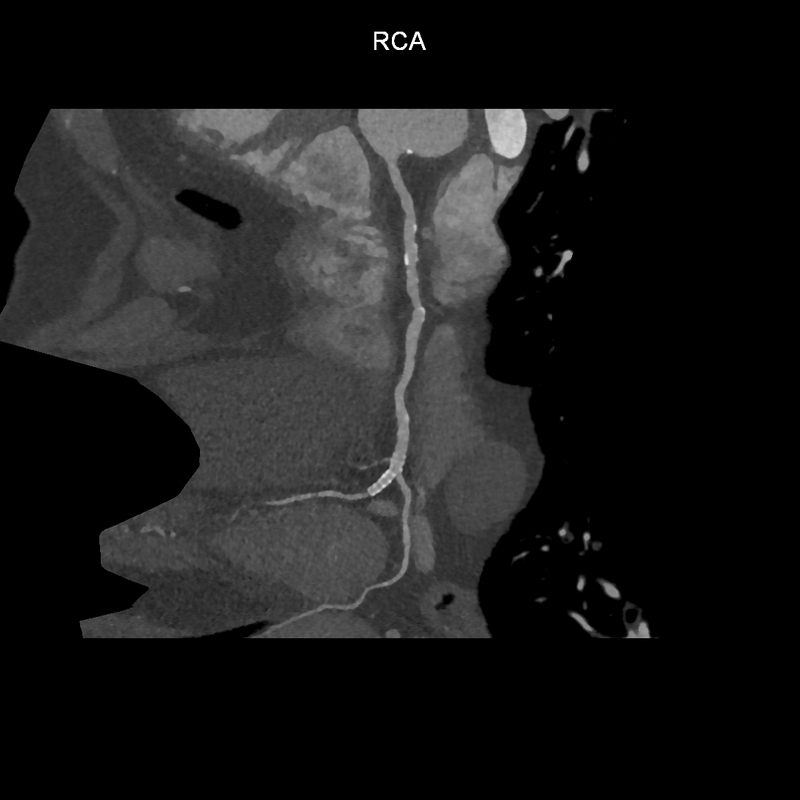 A 69-year-old man with ischemic cardiomyopathy was referred to our institute for follow-up of revascularization surgery. He had previously undergone percutaneous coronary intervention and stenting of the left anterior descending artery (LAD) and right coronary artery (RCA). His medical history also included two cerebral strokes, type 2 diabetes mellitus, and arterial hypertension. Stress scintigraphy revealed the presence of ischemic necrosis in the apical anterior territory, associated with a septal reverse redistribution, compatible with moderate ischemia. Coronary MDCT angiography was performed to assess stent patency.